An exploration of the relationship between myth, wilderness, and a life of depth and meaning. A “Culture of Wildness” is possible for a restoration of Soul in our lives. Martin Shaw’s writing rattles the cages of souls. 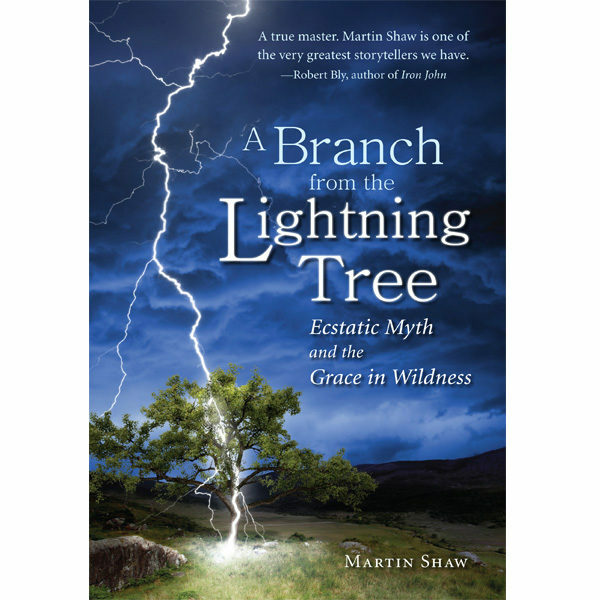 In A Branch from the Lightning Tree, Shaw creates links between the wildness in landscape and language, with myth being the bridge between the two. Shaw uses four great myths from Welsh, Norwegian, Siberian, and Russian territories that explore the process of leaving what is considered safe and predictable and journeying out into wild, uncertain areas of nature and the psyche. Shaw’s work focuses on both men and womens movement into wildness as part of the bigger awareness of climate change and ecology. It presents the old stories as keys into any debate on these issues, showing how the ability to think metaphorically and mythologically “re-enchants” our perspectives. Shaw has so much knowledge and wisdom about the old stories it emanates from his pores. He knows about the mythic trap of eternal youth that is the shadow of rocknroll. He knows why Jim Morrison went down. His prose is voracious  it will gobble up the readers psyche and challenge it to change. ~ John Densmore, essayist, best selling author, and founding member of The Doors.